When your life has been ruined by lies, do you seek justice … or revenge? Blythe Messina spends her senior year focused on her studies and college, and not on her ex, Stratford High’s lacrosse star, DB Whitmore. At least, that’s what Blythe keeps telling herself. But her younger cousin, Bonni, knows otherwise. Same goes for DB, who swears to be over Blythe and their breakup, but his teammates aren’t fooled. When scandalous photos of Bonni and the team captain are texted around Stratford, Bonni’s virtuous reputation is ruined. She professes her innocence, but no one believes her. No one, except Blythe and DB, who come together to uncover the truth. But, will they stay together? 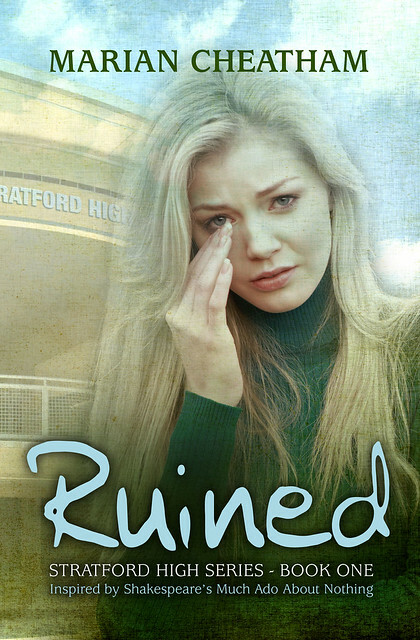 Ruined is a modern twist on a classic Shakespearean romance.